The ECTS Learning Agreement has been developed for mobile students, spending a limited period of time at a university in another country as it is the case when studying in the Erasmus programme. ECTS stands for "European Credit Transfer System". It is a system for converting course credits in order to offer a greater transparency for the recognition of students’ achievements gained at a European university within the framework of an exchange programme. The Learning Agreement contains the list of units which the student plans to take. For each unit the title, the code number and the ECTS credits are indicated. This has to be signed by all participating parties, i.e. by the student, the sending and the receiving institution. Of course, it may happen that a programme of study must be modified after the arrival of the mobile student. In such cases, the Learning Agreement must be amended as soon as possible and signed again by the three parties. Only in this way can complete recognition of study results be guaranteed. Please contact your coordinator for the specific process in your university. 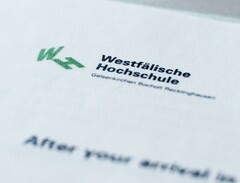 At the end of the stay the students receive a Transcript of Records in which all passed exams, in addition to the agreed lectures in the Learning Agreement, are noted. The Learning Agreement guarantees the transfer of credit for courses passed successfully by the student. The International Office of the home university carries out the recognition on the student’s return. The student does not need to negotiate recognition with individual professors. The Learning Agreement, together with the Transcript of Records is designed to guarantee complete recognition..
You should note that for the recognition as an ERASMUS student a minimum of 30 ECTS points per semester and a minimum of 60 ECTS points per study year must be obtained. For more information please read the ECTS-guide.